Apparently a study had been done where 100 percent strength was used with test subjects in which the results were very favorable. I’ll bet that many suffered though as you can imagine.. that stuff’s hot! Especially ‘there’. And it’ll dry the tear ducts and everything else. My suggestion is to start off with a 30/70 percent split and work your way up as comfort tells you. Don’t be afraid of the stuff because if it was dangerous, the feds would have outlawed it when it first appeared on the market for the reason it does solve many health issues and can’t be patentable. So, they highly regulated it and that’s all they could do. Since DMSO is natural, there’s no way it can hurt. But, like anything, if we over consume something or over use a creme… whatever it is, it will either lose it’s effectiveness, the body will depend on it, or the tissue as is in the case of DMSO will look like a prune. You get the picture I’m sure. So, the way to make your solution is to buy or make your self some saline and you can easily google it to find out. Takes a second and to make it is simple simon. Then, you take your medicine dropper and squeeze one whole dropper full (not just a drop, but fill the dropper thingy just by pinching the rubber part once. Like a turkey baster. Fill your bottle three times with DMSO. Then, do the same with the saline 7 times. That’s 30 percent DMSO with 70 percent of saline. Administer this three times a day after a meal.. find a place to relax, lie down and put a drop or two in each eye and keep your lids shut. No blinking because that flushes the solution into the drainage ducts too quickly. You may do this once, or you may wait 10 minutes and apply again. I recommend not over doing it. Depending on your body, the severity of the accumulations that need to dissolve, and your maintenance determines the effectiveness of the process. Be patient. When you want to add strength, simply add one dropper full to the bottle with DMSO. Don’t worry about the drop or two difference. We’re not being rocket scientists for this project.. we’re simply trying to get used to the higher dosage. But, here’s the thing.. you’re going to use saline anyway to keep your eyes from drying out after the application when the DMSO has absorbed and or went down the drainage ducts. Incidentally, your eyes over all will improve health-wise if there is any other issue. One last thing before I put you to sleep.. the capsaicin in chili peppers makes our eyes tear up like crazy. And yet, the stuff burns without killing the eye, otherwise, we’d hear stories. 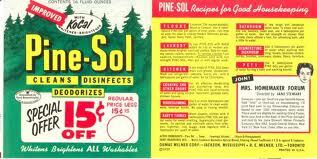 DMSO has that burning sensation, but it also has a dulling effect. Stings, then is easy on the eye. The difference between chili and DMSO is that DMSO doesn’t irritate the eye to tear up like a pepper does. So, keep that saline around. I recommended to my father to find a Visine container and use it instead of a dropper bottle. No chance of spilling that way. The study Dr. Morton published used pure compound with no indication of what happened to people. I recommend diluting DMSO in solution so that your recovery is pleasant. This isn’t a race. 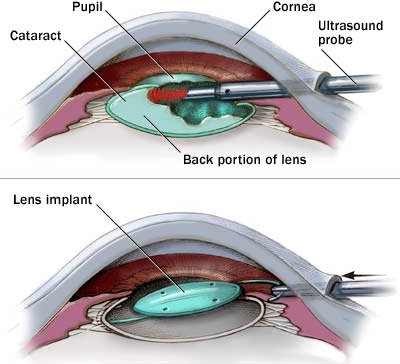 It will have an effect which means that the treatment won’t make anything worse regarding the cataract. If you experience something that doesn’t feel right, then talk to your medical practitioner again for a solution to the treatment. Remember, I am only a researcher who can offer suggestions that you can take to who you believe is aware of DMSO and its efficacy before it is administered. Long ago, it was used in eyecups to treat cataracts. Okay.. it is a mushroom though and most likely medicinal as they all are. So, rather than announce that I’m stupid, why not educate me as to what it’s called? 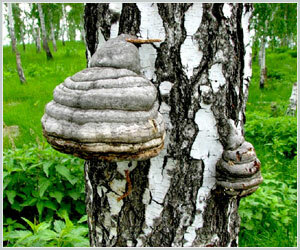 The picture you are showing of the chaga on the tree: in the upper left hand corner of this web page is NOT CHAGA. Please accept my apology for the rather disturbing image in which I agree can be tamed.. and so I shall. 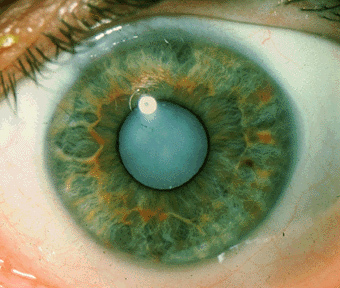 I’m not certain about floaters as these are deep within the eyeball’s vitreous humor which is the gel between the retina and the back of the crystalline lens. This is a very good question and I should investigate the matter. I thank you very much. The vague pic of the eye on this sitet is very disturbing to me at least. I don’t know how it is affecting others but for me it’s……. well, disturbing. On another note, will DMSO also dissolve floaters? I will try DMSO on my mostly affected left eye. I have only partial vision from birth in that eye and the right eye is minimally affected. Glaucoma is the blockage of the perforations surrounding the cornea and when it’s inflamed, further complicates the problem. Pressure builds behind the cornea because the fluid cannot drain. DMSO is a natural solvent that will breakdown whatever does not belong and the residual minerals and what had been clogging the passage ways will be absorbed and flushed out. The studies that had been conducted using DMSO showed that only one characteristic change had taken place (other than the side effect of foul breath odor) was a swelling of the cornea. So, this is something to consider when consulting with your ophthalmologist or medical practitioner when deciding to try DMSO topically over the eye. Since you are suffering greatly and may lose your vision altogether perhaps due to diabetes, my suggestion is to give Gabriel Cousens of “The Tree of Life Rejuvenation Center” in Patagonia, Arizona if this is the case. Then have him call me to discuss how to proceed with a DMSO protocol. The ocular changes are notable when 100 percent DMSO was used over a study parameter period of time, so this means that trying a couple of diluted drops of DMSO with saline solution may help to liberate the blockages from accumulated debris without these tissue changes which is really not a big deal. Please call the clinic down there and then get back with me. The eye, the socket it is nested in, and the surrounding tissues, glands and ducts are designed to keep the eye clean from contaminants and dust so long as there is adequate amounts of tears washing over it. DMSO has the side effect of drying out the area which may be uncomfortable if 99 to 100 percent DMSO is applied too often. And yes, it is important that you make a diluted blend of saline solution or purified water. It is easy to make your own saline solution.. google it! Or, it may be purchased locally where you live (Walgreens, CVS, or any pharmacy should carry it). What you do is this.. take one dropper full of DMSO (not one drop. Squeeze the rubber bulb and then release drawing what amount goes in two times, but nothing more each time) and emptying it into a clean dropper bottle. Then do the same for the saline solution by adding not two, but three times. That makes it a 40 percent DMSO to 60 percent saline. Or, you can squeeze 4 times DMSO and 6 times Saline. This is the same proportion, but makes more and is easier to do 10 percent strengths. In other words, 5 dropper fulls of DMSO and 5 of saline is half and half, or 50% each. I hope that was easy. The solvent stings, so don’t make her uncomfortable! DMSO is purified and I really don’t know what brand is better than the other. There are herbal ingredients and I’ll have to revisit my research for you, but in the meantime, you’ll want to begin dissolving the buildup of what makes up the cataracts without delay.. and then use herbs when you get them. You may even use hospital tape over small magnets around her eyes on the skin to help with the process during sleep. Magnet therapy! Hi. Can you recommend a good website that sells the best quality DMSO? Can you apply pure DMSO directly without any other liquid ingredients to the eye? I am asking on my grandmothers behalf. PS: I developed an auto immune disease…AFTER getting vaccinated… have been researching DMSO and have some…just not sure if its the right kind/brand.. I have the typical blue and white bottle from Tulsa okay on it.. pharma. grade..yes no? I can never find enough answers.. I have a severe eye problem.. I’m guessing from Sjoghrens if I spelled that right… do you know anything about DMSO and auto immune problems? Nobody if nobody can figure out why my eyes hurt and peel all the time.. do you think it’s okay to experiment..? Maybe I should ask this.. have you ever heard of anyone using it for for this? Do you know anything about papain mixed with DMSO to dissolve bone spurs in the neck… I know its worked on horses..just collecting info. realnuz: Hi Tammy.. to get an idea how to proceed, I would need to know more about your health, your age, what shots you received and so on. The condition you described sjoghrens, indicates that you an inactive ability to produce moisture in which the tear ducts are strangely paralyzed. If this is correct, then administering DMSO could be uncomfortable because it would further create a drought situation.. very dry and potentially dangerous. The article is intended to help those interested in dissolving accumulated debris only. Your condition is one in which research and thought must take place for the reason, if you haven’t been given the correct treatment, that there is western medical approach or knowledge and that there is no treatment protocol. Therefore, I have to think this one through. In the meantime, please email me at the address ending this article with more history.. perhaps I can give you direction. Know that I am not a doctor and cannot prescribe legally. I can give you thoughts that you can take to your medical practitioner so that you can make an educated and responsible choice in what to do. If you need to dissolve bone spurs and that you know it works with horses, then it will work for humans too. I’m sure you’ve already tried with no success for the reason you didn’t apply the DMSO for a duration of time that would show results. DMSO and papain is completely natural in which there are no reported ill effects. So, don’t be afraid to try it. If you’re suffering and no western help has helped, there is no reason to wait for them to okay use of DMSO for bone spur pain.